What do chameleons, octopuses, and arctic foxes all have in common? They change color! Meet amazing animals that alter their appearances in this Level 2 reader. 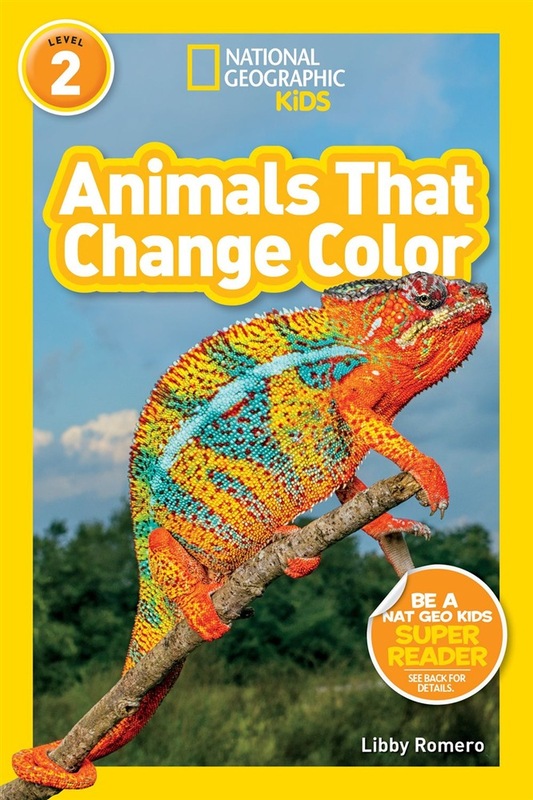 Packed with beautiful and engaging photos, this new leveled reader dives into the amazing world of animals that change their appearance based on environment, the need to blend in to hunt or stay safe, and even their mood! Kids will learn all about the how and why of these amazing animal transformations. National Geographic Readers' combination of expert-vetted text, brilliant images, and a fun approach to reading have proved to be a winning formula with kids, parents, and educators. Level 2 text provides accessible, yet wide-ranging information for kids ready to read on their own, perfect to encourage the scientists and explorers of tomorrow! Acquista National Geographic Reader Animals That Change Color (L2) in Epub: dopo aver letto l’ebook National Geographic Reader Animals That Change Color (L2) di Libby Romero ti invitiamo a lasciarci una Recensione qui sotto: sarà utile agli utenti che non abbiano ancora letto questo libro e che vogliano avere delle opinioni altrui. L’opinione su di un libro è molto soggettiva e per questo leggere eventuali recensioni negative non ci dovrà frenare dall’acquisto, anzi dovrà spingerci ad acquistare il libro in fretta per poter dire la nostra ed eventualmente smentire quanto commentato da altri, contribuendo ad arricchire più possibile i commenti e dare sempre più spunti di confronto al pubblico online.